Is your computer running slowly? Constantly crashing or restarting? Dead or won't boot up? This can be caused by viruses, faulty hardware, damage to the Windows operating system or software that hasn't installed properly or is mis-configured. Whatever the reason we can diagnose and fix it. If your machine is struggling to provide the performance and functionality for the tasks you need it to do, talk to us about its upgrade potential before rushing into the purchase of a new system. In most cases, it is still more cost effective to upgrade than to replace. Most components in your computer can be upgraded including hard disks, memory, DVD drives etc. Talk to us first before you make any decision on a new system and find out just how much you could save by upgrading your existing hardware and software package. We can offer advice on the present state of your system or network, backup strategies, technical security, anti-virus and privacy issues etc. We would be happy to set up and configure your ADSL (broadband) or dial-up connection or help with any Internet or e-mail problems you may be having. Somtimes it is not possible to repair the Windows operating system to run efficiently. It is neccessary to re-install it. Your important data will be backed up and your hard disk wiped clean. A fresh copy of Windows will be installed including service packs, patches and updates. We will also optimize and configure Windows to run more quickly, efficiently and safely. It is important to have a backup strategy in place. We can advise you on a backup plan and if the worst happens we can assist you in recovering your data. Remember that even if you delete your data from the hard disk it is possible to recover it. This is also true of USB flash drives and memory cards in your digital camera. We can set up your broadband connection and connect your laptop or computer to the wireless broadband router. Home and small business networks are becoming very popular nowadays. The ability to hook up more than one computer to a single internet connection, or to each other, reduces costs and provides file and printer sharing within the home or office. It also gives you the ability to backup all computers data from one pc, and with the new technology available today there is no need for running wires. We can provide the install, setup, configuration, and testing of your office or home network. If you don't have in house IT support we can provide support for your server and network infrastructure. If you are thinking of disposing of your computer equipment be aware that the hard disk of your computer can contain a lot of personal data about yourself and your business or family. We can erase the data on your hard disk using a very destructive process so that it is unrecoverable and safe for recycling. Digital Conversions recommends Eset Smart Security to help keep your computer secure from online threats. 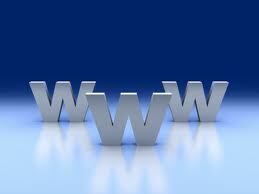 Digital Conversions can design and host your website and email domains.